In congressional testimony in 2018, former FBI general counsel James Baker said that the bureau was aware that the founder of Fusion GPS was shopping the infamous dossier around Washington, D.C., prior to the 2016 election. Baker also said that his friend, the liberal reporter David Corn, was “anxious” to provide him with the dossier, which was funded by the Clinton campaign and DNC. Baker’s testimony reveals new details about the full court press to put the unverified dossier onto the FBI’s radar. James Baker, the former general counsel for the FBI, told Congress last October that the bureau was aware that the founder of Fusion GPS was spreading the Steele dossier “to a lot of different” people in government and the media in an effort to “elevate” the document’s profile. Baker also told lawmakers in his Oct. 3, 2018 testimony that his longtime friend, the liberal reporter David Corn, was “anxious” to provide him with the dossier. Baker’s testimony, which was first detailed by The Wall Street Journal and has been confirmed by The Daily Caller News Foundation, sheds new light on what the FBI knew about efforts before the election to spread the dossier, which was written by former British spy Christopher Steele and financed by the Clinton campaign and DNC. Page has vehemently denied Steele’s allegations that he served as the Trump team’s back channel to the Kremlin during the 2016 campaign. As has been previously reported, Simpson served as a PR man of sorts for the dossier, setting up meetings with reporters from numerous news outlets in an effort to get Steele’s reporting into the media bloodstream. Both Steele and Simpson were also in contact with U.S. government officials, including the Justice Department’s Bruce Ohr and the State Department’s Jonathan Winer. 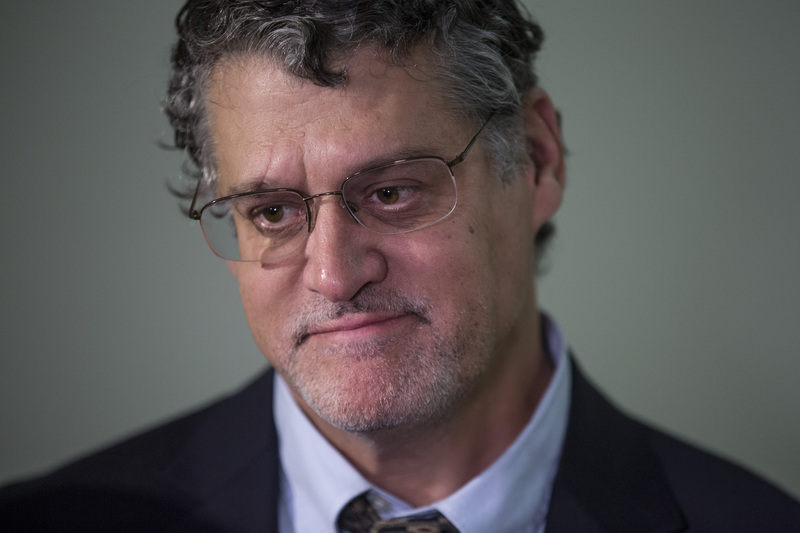 Steele shared some of his findings with both officials, as well as his FBI handler, Michael Gaeta. In his testimony, Baker said that the FBI was aware of Simpson’s full court press on the Steele report. “My understanding at the time was that Simpson was going around Washington giving this out to a lot of different people and trying to elevate its profile,” said Baker. Baker also addressed his interactions with Corn, the reporter at Mother Jones who published a report on Oct. 31, 2016, that quoted Steele. “I know that David was anxious to get this into the hands of FBI. And being the person at the FBI that he knew the best, he wanted to give it to me,” Baker testified. The FBI severed ties with Steele after Corn’s report on the grounds that the former spy improperly revealed that he was a confidential source for the bureau. Corn’s contact with Baker has been previously reported. The journalist has said that nothing improper occurred and that he shared the dossier with Baker after the election in hopes of authenticating the document. “I tried the FBI again after the election. On my own accord, I shared a copy of the dossier with the FBI in order to see if the bureau would authenticate the documents and now comment on them. Once again, it would not,” Corn told The Hill in July 2018. Corn also said it was “inaccurate” to describe him as a source for the FBI. The effort to spread the dossier far and wide appears to have picked up steam after Trump’s election win. Steele asked him to meet with BuzzFeed reporter Ken Bensinger and CNN’s Carl Bernstein, according to Kramer. Kramer also met with Corn in early December 2016. He said that Corn was inquiring about a meeting that McCain planned to have with then-FBI Director James Comey. Kramer said that he was unsure how Corn found out about the meeting.